Barefoot Beach Club Barefoot Beach Condos: Direct beachfront, beautifully upgraded, Barefoot Beach condo with panoramic Gulf views, now available. This 3-bedroom residence is in THE CLOSEST building to the Club at Barefoot, offering a seamless resort lifestyle. Just a few steps to fine & casual dining, a private pool, tennis, beachside food/beverage service, planned social activities & more (membership optional). Enjoy the sight of dolphins splashing & the sound of surf from the spacious screened lanai overlooking the Gulf with endless views. Many upgrades throughout including all tile floors (no carpet to maintain), whole-home plantation shutters & re-designed, opened-up, gourmet kitchen with granite counters, custom neutral cabinetry, recessed lighting, tray ceiling accent, all stainless-steel appliances & built-in bar with wine cooler. This residence is perfectly located in Collier County’s waterfront Barefoot Beach community where residents enjoy 3 miles of Gulf-frontage, 2 beachside pools/spas, fitness center, 24-hour manned/gated entry, on-site management & more. 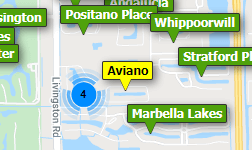 Excellent North Naples location minutes to Mercato, Promenade, Waterside Shops & 5th Ave nearby. This opportunity will not last. Barefoot Beach Club Barefoot Beach Condos: PREPARE TO BE WOWED by the GULF AND BAY VIEWS from the only 3 bedroom, 3 bath CORNER condo on the market in Barefoot Beach, Collier's most private, naturally beautiful beachfront community. Corner position has a view of the gulf not available from other bayside buildings, with natural light from windows on three sides and wraparound 270-degree lanai. Exceptionally renovated condo features contemporary coastal decor—matching neutral finishes and high ceilings add to the spacious feel. Redesigned open concept kitchen features hand-finished cabinetry, quartz countertops, center island, pantry, Bosch stainless appliances. Hand-painted mural and gorgeous travertine flooring are eye-catchers. Beachy theme accents in master bath with custom tile, dual sink vanity and etched glass shower doors. Comfortable guest rooms have full baths updated with fun vanities, custom tile, and heated floors. Walk along a 3-mile white sand stretch of Barefoot Beach, rated #2 in US. Sun, swim, boat, fish—all in the same day! Be as social as you like in friendly Barefoot Beach, just minutes away from all the upscale shopping, fine dining and culture Naples and Southwest Florida have to offer. Barefoot Beach Club Barefoot Beach Condos: C.14885 - Reduced over $150,000 for a quick sale reflects Sellers desire to move into their new home. Will negotiate all offers for a new owner to begin living the Barefoot Beach dream just 255 steps from the white sandy beaches of Naples and Bonita Springs. This 3-bedroom, 3 bath home with a wall of windows captures the view of the Gulf of Mexico in your backyard. Start the morning with warm tropical breezes, while taking a walk at the beach, relax by the beachside pool, or go boating, and in the evening celebrate the sunsets. This home's stylish coastal backdrop showcases an open floor plan, spacious kitchen, master suite, and 2 en-suite guest rooms, making it the perfect year-round home, rental, or vacation destination. The kitchen provides multiple workstations, newer stainless appliances, island, and wine chiller. The master suite includes a lounge area, desk, and access to the lanai for evening chats or dinner. Barefoot Beach is a beautifully manicured gated community offering privacy, onsite management, a new clubhouse underway, under building parking and large storage room for toys all within the sounds of the surf. Barefoot Beach Club Barefoot Beach Condos: Magnificent view from this Condo! There is a Back Bay view with boaters and osprey flying by with fish in their beaks, and then there's the front terrace view of royal palms and startling blue Gulf waters. Lanai features new style high-rated fabric hurricane shutters that doubles as a shade screens. Floorplan is a open with beautiful appointments: Gourmet Kitchen with unique granite, cabinet with pull-out shelves, 42 inch Monogram refrigerator with wood doors that match cabinets panels, Advantium microwave, a built-in oven, organized pantry with pull-out drawers, and 4 separate trash drawers that separate recycles, paper, and trash. Great Room has an uninterrupted visual flow across the seating area to the magnificent view beyond. Dining area is lit by LED lights for a romantic candle-lit dinner. Close by is an updated bar with its own refrigerator and sink. The den has a cherry wood paneled Murphy bed plus matching desk, file drawers, and bookcases. (bed opens with one hand). Across the street is the private beach club where members can even order lunch on the beach! Barefoot Beach Club Barefoot Beach Condos: Absolutely the best price in Barefoot Beach! Here's your chance to break into this exclusive, Gulf front community! This FURNISHED condo is $496/sq ft when Barefoot's condo average is $724/sq ft! Love coffee on your lanai, watch the sunrise, walk the beach, swim in the gulf, bike with friends, fish by boat or from the beach, & enjoy a glass of wine watching sunsets on the sand, or from the park bench outside your front door. This 1,600 square foot 5th-floor condo has expansive water views both east & west. See Little Hickory Bay from your screened-in lanai & a slice of the Gulf of Mexico from your kitchen. A nature lover's dream, you will have a bird's eye view of dolphins, manatees, osprey, and more. The open floor plan boasts a spacious living and dining room, eat-in kitchen, and large bedrooms. Enjoy the club house with fitness room, meeting room, 2 swimming pools, hot tubs and a full social calendar in season. Boat rental and/or storage available nearby. There are restaurants, shopping, churches nearby and Barefoot Beach is just 3 exits from Fort Myers International Airport. Call today before someone else invests in your slice of Paradise! Need professional assistance selling your property at Barefoot Beach Bonita Springs? Find out how an Area Specialist can help to generate more property exposure in order to get the most money for your investment in the least amount of time.